All-state candidate John Ohlson – a 5-10, 170-pound senior flanker – helped No. 3 Penn breakaway from Valparaiso for a 27-7 victory in the high school football season opener on Friday, Aug. 19. Ohlson stung Valpo when the rushed for 46 yards on a reverse. That set up a two-yard TD rush by Landon Martz that gave Penn a 13-6 lead in the third quarter. Later in the third quarter, Ohlson sliced through the Vikings for a 48-yard punt return to the Valpo 6. Connor Schneider helped Ohlson break loose with a bone-jarring pancake block. 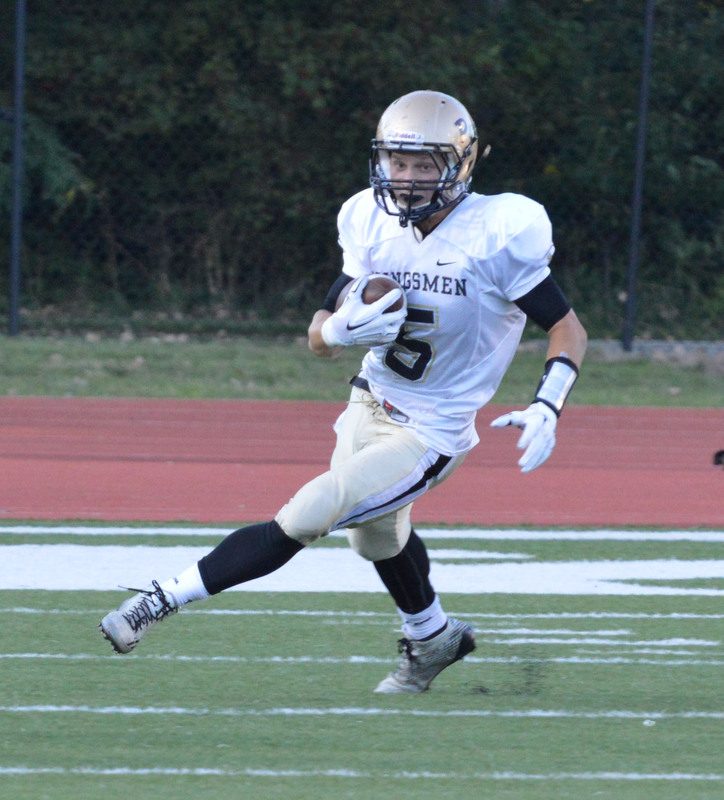 Ohlson’s return led to a one-yard TD plunge by James Iapalucci and a 20-7 lead for Penn. Rashid Maclin got the Kingsmen started with a 38-yard TD run. Maclin finished off the Vikings with a seven-yard run in the fourth quarter.